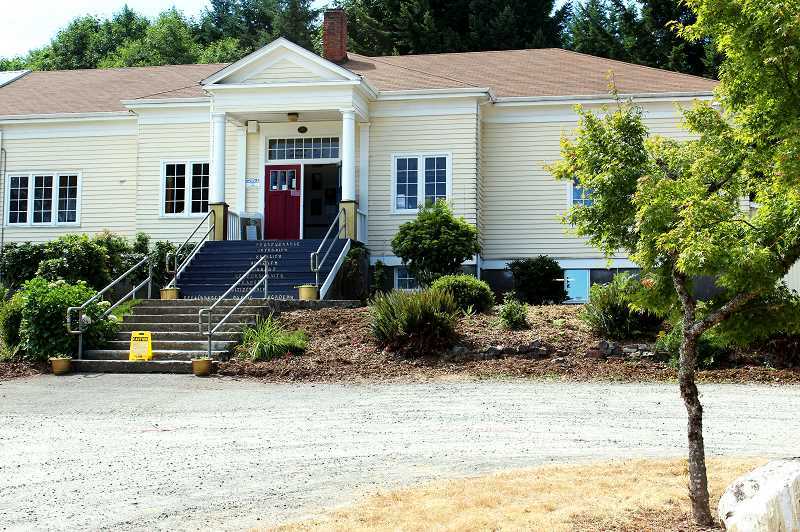 Molalla River School District is again investigating Renaissance Public Academy, this time in response to a complaint claiming a secretary and board member violated student privacy. The investigation once more sparked conversations about the potential to terminate the district's contract with the charter school. The district previously investigated RPA concerning instances at the school in 2016-17, and the two parties have been in constructive communication since then. The current investigation comes after RPA's former administrator Michael Gibson filed a complaint, according to RPA board member Douhet Wilcox. Gibson said he felt he was being micromanaged and that there were some possible Federal Educational Rights and Privacy Act violations. FERPA is a federal law that protects the disclosure of students' personally identifiable information, according to the U.S. Department of Education. After RPA's school secretary left, Gibson apparently found emails between the secretary and a board member that he thought may have been a violation. "He was concerned that perhaps students' information was being shared outside of those who are supposed to see that information—mainly just names," Wilcox said. There are some exceptions under FERPA, including that directory information can be shared. This may include name, address, telephone listing, date of birth and more. In response to Gibson's complaint, school district Superintendent Tony Mann in August sent a memo to RPA board chair Jeanna DeRisio, who was also included on some of the emails in question, and began an external investigation. The RPA school board was already in process though, having hired an attorney to conduct an internal investigation. According to Wilcox, that investigation found that there were no legal violations of any kind. The RPA administrator, secretary and school board member in question are all no longer at the school. Further, as a result of the investigation, the school decided to notify families whose students' names were on the list under question. "Then we gave a brief report to Tony Mann when we were done, saying this is what the accusations were, and this is what we discovered and what we decided to do as a result of the investigation," Wilcox said. "So we were surprised that the district was involved in it." Despite the completion of an internal investigation, the district continues its external investigation. At MRSD's November school board meeting, Mann reported to the board that RPA had only partially cooperated with the district's recent request for a copy of the investigation findings. Instead of submitting the full report, RPA cited attorney-client privilege under Oregon law and submitted an executive summary prepared by their attorney. Molalla Board Chair Calvin Nunn expressed that he felt RPA was not cooperating with their investigator by not providing the full investigative report, and asked for guidance. "The board has complied in every way, shape and form that we can," DeRisio said. "As far as we know, we were not aware that it was being blown as big as it was. I was kind of shocked to hear from the board. I just got an email on Friday from the Molalla River School District board, saying that they felt like we weren't complying. And I'm like, how did we not comply?" After Nunn suggested noncompliance at the Nov. 8 meeting, Molalla board member Ralph Gierke made a motion to require RPA to furnish the requested information within seven days, and if they do not, the board would hold a meeting to consider sending a notice of intent to terminate the district's contract with RPA. But other board members felt that action would be premature. "I don't know why the conversation always comes back to shutting down RPA," said board member Craig Loughridge, and asked further, "Why does this board feel compelled to micromanage the investigation?" The other board members agreed with Loughridge, and ultimately the motion was shot down, with Gierke being the only one to vote in favor of his motion. "My intent is not necessarily to just close them down," Gierke said. "My intent is to say, 'This is what you need to do. This is when you need to have it done. Stop the games. Stop the playing around. Just do it. Give us the report that Mr. Mann requests and be done with it.'" While board members rejected the motion, several expressed concern over the potential for the district to be held accountable for what happens at RPA. "The allegations are issues that involve breaking state and federal law," said Molalla board member Jennifer Satter, "and we have a responsibility to oversee and make sure that the laws aren't being broken." The Molalla River School District board passed a motion to continue the external investigation.